Concordia hosts Arizona Christian Jan. 30-31 (video) and The Master's hosts Biola Jan. 30-31 (video). #5 Faulkner opens their season hosting LSU-Alexandria Jan. 30-31, and Northwood (FL) Jan. 31-Feb. 1. #6 Georgia Gwinnett host Blue Mountain Jan. 31-Feb. 1 (video). #9 Missouri Baptist visits William Carey Jan. 30; the Spartans were ranked #1 by Perfect Game (click here for their rankings). Industriales built up a 5-0 lead over the first five innings, let it get away in the top of the sixth, then put it away with a big bottom of the seventh, in a game characterized by sloppy pitching. Industriales open the scoring with a double by RF Dairon Blanco and an RBI single by CF Carlos Alberto before the first out was recorded in the bottom of the first. Alberto moved from first to third on a passed ball that C Franklin Aballe had trouble finding, then scored on a sacrifice fly by SS Lourdes Gourriel. They added a home run by 1B Alexander Malleta in the third. In the bottom of the fifth, Industriales benefited from two walks with two out by Holguin starter LHP Lander Moreira. 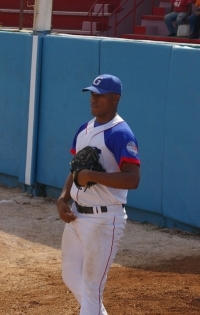 Moreira was replaced by Maikel Sainz, who proceed to hit the first batter he faced, loading the bases. The next batter, DH Lisban Correa, hit a two-RBI single, and Industriales led 5-0. 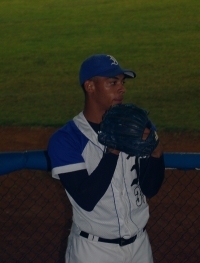 Sainz was replaced by Carlos A. Leon after facing only two batters. A near-capacity crowd at Estadio Màrtires de Barbados in Bayamo got to see an excellent ball game. Pinar del Rio was in control of this game for the first eight innings. They got two runs in the top of the first on an RBI double by DH Donal Duarte, and an RBI single by 1B Ramon Lunar. They added a run in the fourth inning with a sacrifice fly by 3B Osniel Madera. It looked for a long time like these three runs would be enough. Pinar del Rio got an excellent start from Erlis Casanova, who held Granma scoreless for five innings. Both he and reliever Livan Moinelo got some key strikeouts, and were also helped by double plays in the bottom of the first and fifth innings, a strikeout followed by a throw-out at second to end the second inning, and a good play by SS Yanciel Ajete to end the fourth inning with two runners left on base. Granma started the sixth inning with a base hit by SS Adrian Moreno, and Casanova turned the ball over to Moinelo. A long at-bat by LF Guillermo Jose Aviles resulted in a ground ball and Moreno out at second. My first visit to a baseball game in Cuba was stopped by the mercy rule (“regla chili” in Spanish) after 6 1/2 innings. Granma loaded the bases in each of the first three innings. In the first inning, they got a run on an RBI double by 1B Guillermo Jose, a two-RBI double by RF Urmani Guerra, and another RBI double by 3B Lazaro Alfredo. They left the bases loaded in the second inning, but in the third inning, they loaded the bases on singles by Guerrai and C Yulexis La Rosa, and an intentional walk, then SS Adrian Moreno hit a grand slam. It was 8-0 after three innings. Granma made it 12-0 in the fifth, with a sacrifice fly by Jose, a two-RBI single by 1B Yordanis Samon, and an RBI single by Guerra. Granma starter Lazaro Blanco had a shutout with two out in the bottom of the sixth. 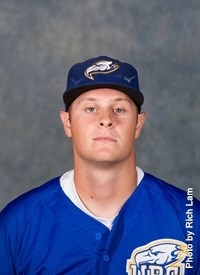 He should have gotten out of the inning with a double play, but a suspect call at first kept the inning going. On the next play, the shortstop lost the handle on a routine ground ball. DH Alberto Toledo ended the shutout with an RBI single, and RF Lazaro D. Perez hit a shallow single that scored another run. Blanco left the game after that with six hits (three of them in the sixth inning, and two more by CF Robersis Ramos), zero earned runs, and 3 strikeouts. 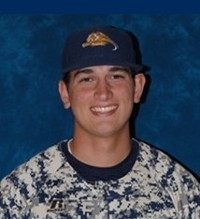 Northwood (FL) C Carlos Contreras and British Columbia LHP Conor Lillis-White are the headliners of the 2015 NAIA Preseason All-America Team. 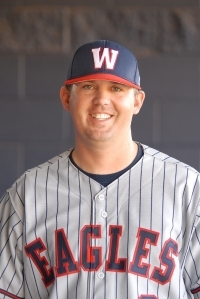 Contreras transfered from Northwood (TX), which shut down their athletic program. 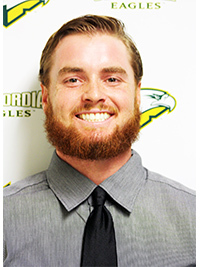 He hit .453 there, with a slugging percentage of .753, fourth-highest in the NAIA. 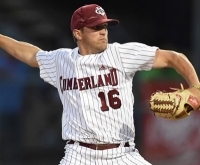 Lillis-White had the lowest ERA in the NAIA last season, 0.46. He is already 2-0, 0.82 ERA this season. The Diablos Rojos (Red Devils) of Mexico City and the Rieleros (Railroaders) of Aguascalientes split a double header (two seven-inning games) before a good crowd in Aguascalientes. First game: This was a good one. The Diablos led the game until the bottom of the seventh. RF Doug Clark got the Diablos on the board with a two-run home run in top of the first inning. They added two more runs in the second inning. LF Ivan Terrazas hit a single, and C Gabriel Gutierrez hit a double. 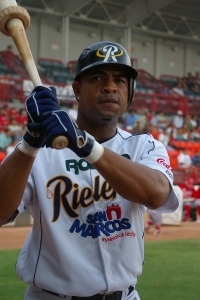 Terrazas scored when SS Juan Carlos Gamboa reached on a fielder's choice. CF Rubén Rivera made a good catch in center field on a ball hit by 1B Japhet Amador in the top of the third inning. The Rieleros got two runs in the bottom of the third. RF Carlos Peñuelas hit a leadoff single, and scored on a double by LF Oscar Lemus. 2B Ivan Bellazetin hit a bunt single, moving Lemus to third. Lemus scored on a single by 3B Jesse Castillo. The Rieleros added another run in the bottom of the fourth when Peñuelas hit a slash bunt to score Rivera, who had reached on a single. So, the Diablos led 4-3 after four innings. 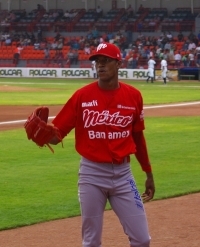 The Diablos Rojos (Red Devils) of Mexico City lead the North Division of the Mexican League by nine games, with a 62-35 record going into this game. The Rieleros (Railroaders) of Aguascalientes are in seventh place in the North Division, with a 44-52 record, and they will miss the playoffs. Tonight, however, belonged to the Rieleros. The Rieleros answered with a solo home run by CF Rubén Rivera in the bottom of the second. It was his 20th HR of the season. C Oscar Lemus hit a ground rule double with two out, but a strikeout by Diablos starter LHP Marion Arias ended the inning. Rivera made a good play in center field in the top of the third, taking away a home run from 1B Japhet Amador. The Rieleros tied the game 2-2 in the bottom of the third on an RBI double by SS Carlos Orrantia. Orrantia went to third on a wild pitch, then scored to put the Rieleros ahead for good on a fielder's choice by 3B Jesse Castillo. This is the loss of a successful baseball program. The Hornets made three trips to the Baseball National Championship. The most recent one was this season, where they got a win over Georgetown College before being taken out by Lewis-Clark State. They were ranked #8 at the end of the season. 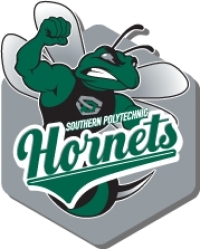 They got into the Opening Round by winning the Southern States Athletic Conference tournament. The Hornets has a record of 350 wins and 137 losses since 2007. They won four other conference tournaments. Also, Virginia Intermont College in Bristol closed its doors in May. The Cobras were 29-18 in 2013, and and 21-30 in 2014.